Heavy rain thankfully ceased in time for the 5 mile race. 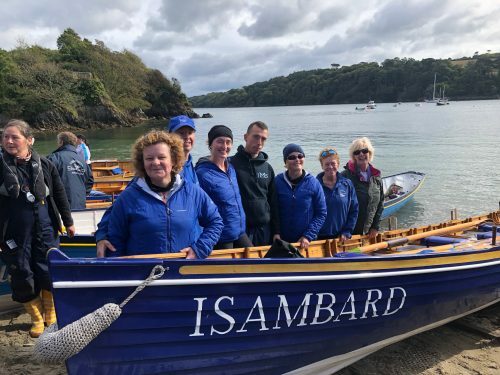 The mixed Bristol crew raced amongst 23 gigs, skiffs, flashboats and 2 surfboats, starting at one minute intervals on a choppy and blustery start line at the mouth of the Helford to the finish line at Gweek. Bristol finished as 14th fastest gig in a time of 43:29. Thanks to James for towing and Anna for coxing.